Australian Ambassador to Indonesia – Greg Moriarty Addressed the Australian Indonesian Business Council in Sydney to describe the opportunities on offer to Australian Business….a message that was not yet clearly understood. On Tuesday I had the good fortune to be in Sydney for the Australia Indonesia Business Council (www.aibc.com.au) business luncheon with Australian Ambassador to Indonesia His Excellency Greg Moriarty. The event was another great example of the ability of the AIBC to bring high profile business and government leaders to the Australian business community to detail the latest information, opportunities and challenges that confront Australian business when they look to Indonesia. I have been a member of the AIBC for the past four years, and a National Director and Chairman in South Australia for the past two years, and over this period of time I have seen the business, investment and trade situation in Indonesia transform. This was exactly the message that Ambassador Moriarty was here to tell the Australian Business Community in Sydney. The Event was attended close to 100 of Sydney’s elite business community attended this luncheon to hear the good news story Ambassador Moriarty had to tell about Indonesia. The question and answer session after the speech was an indication of the increasing interest in Indonesia as a trade and investment destination for Australian business, however it was a joke that Ambassador Moriarty relayed about Indonesia in the early stages of the speech which tells the real story about the opportunities in Indonesia. 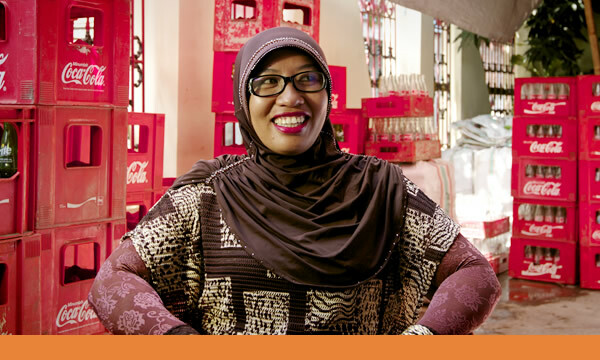 Coca Cola Amatil have succeeded in Indonesia where many corporates have failed to tread. Ambassador Moriarty started his keynote address with a joke about Indonesia being both a disappointment to optimists and a disappointment to pessimists. He put this down to the solid improvement and advancements that have been made in the Indonesia, that have exceeded many expectations and failed to meet the best case scenario. Anyone who has done business in Indonesia, will attest to this challenge. Indonesia is indeed a great opportunity, but it has its challenges. The message however from Ambassador Moriarty was that Indonesia was a great opportunity for Australian business, and that there were indeed many businesses that were succeeding in a large way. The point was made that Australian businesses should be broadcasting their involvement in Indonesia, and specifically the Corporate Social Responsibility programs that many companies are engaged in as part of their Indonesian Investment. This particularly point was picked up later in the presentation by a representative of Coca-Cola Amatil (CCA), who described how their investment in Indonesia over the past couple of decades had been effectively ignored by Australian investors until very recently. Coca-Cola Amatil have of course in recent years made large investments in excess of $100 million into Indonesia and have attributed these investments as a key driver of corporate profitability. The representative at this event lamented the ignorance of the stock market, and hoped that the message to the Australian investor community was indeed to open their eyes to the Indonesian potential. 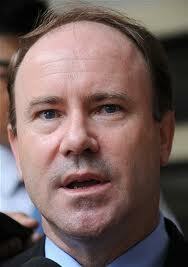 Indonesia is Australia’s closest neighbour, and the business opportunities are immense. The time is right to take the opportunity at hand and be ready for the Indonesian Century. Indonesia is indeed widely misunderstood by Australian business, and indeed by many western business and the Ambassador described the strength of the economy, and the rapidly emerging middle class, which was actively engaged in social media, consumerism and business. The often mentioned Indonesian social media numbers were once again raised as an illustration of the advanced state of the Indonesian market, third largest facebook population amongst others. The overall message was that Indonesia is here, and Australia has a direct interest in the future of Indonesia. Australian business needs to increase its awareness of the Indonesian market, and change its outdated perspective of Indonesia as a backward and third world economy. As many of the people in the room would have known, the challenges of establishing, and running a business in Indonesia can be substantial. However, the emergence of Indonesia as a market of opportunity for Australian business means that if corporate Australia does not realise the opportunities presented, they will miss one of the best opportunities to emerge from the Asian Century. Failure to change our perception of Indonesia, will be a failure of our politics, our business and our perceptions. As Ambassador Moriarty reinforced during the AIBC event in Sydney, the time is right for corporate Australia to make the most of the Indonesian opportunity and grasp it with both hands. It is up to Australian business to re-asses Indonesia as an investment, trade and business destination to ensure that in the future the disappointments are not that we let the greatest opportunity of our generation slip through our fingers. The Indonesian Century is indeed upon us. Trusteeship and Corporate Responsibility: does the share market react the way it should? In the past few weeks I have written articles that relate to the effect of the BP oil spill in the Gulf of Mexico, and what it means for corporate social responsibility. I have made the argument that Corporate Social Responsibility (CSR) programs are failing society, and that the current financial system doesn’t allow or encourage large transnational corporations to behave in a greater ethical manner (see my article Corporate Social Responsibility: is it a myth? http://wp.me/pS6DN-2w). When I presented this argument it was put to me by some that profit is not the only determinant of corporate policy, and that corporations with CSR programs are competing with each other to strive to achieve greater responsibility. Do I agree? I do agree in principle with this point, there are some corporations who strive to perform in an ethical manner, and if we look to the Indian transnational corporation The TATA group, we can see some great community and employee welfare programs that have been developed along the principle of Trusteeship. Trusteeship is an ethical principle advocated by Mahatma Gandhi in India, at the beginning of the 20th Century, which encourages businesses to act in a way that is good for the community, society and the national good. However, I don’t believe there are enough examples of this attitude in the corporate world. Most large corporations are principally concerned with profit making, and I don’t have an issue with this, if it is done with ethical principles employed in this pursuit of profit. As I have mentioned previously financial markets appreciate and reward profit making behavior, and when the share price increases, so too does the value of the company. This is another principle driver in corporate decision making: creating shareholder value. Unethical behavior can affect the share price, particularly when it impacts upon profitability such as with BP with the loss in profit due to the oil leak in the Gulf of Mexico (see BP oil Leak: is this an indicator of disasters to come? http://wp.me/pS6DN-2c). There are also ethical Shareholder groups that are investing in the market to encourage greater ethical corporate behavior, but at this stage I believe their impact on the share price is minimal. However, corporations are still ultimately rewarded by the financial markets for profit making activities, regardless of the ethics of how the profit is achieved. Two events in the past 24hours illustrate this point for me. Goldman Sachs overnight came to a settlement with the US Securities and Exchange Commission (SEC) over the sale and marketing of the toxic mortgage securities that were partly responsible for the collapse in the global financial system. The agreement was for a payment of US$550 million and reform of business practices related to the sale and marketing of such securities. Goldman Sachs was of course one of the banks to have ultimately benefitted from the collapse of competitor banks, sweeping in and buying up distressed assets at bargain basement prices. It can hardly be suggested that they have behaved in an ethical manner, and especially not in a responsible manner. So what was the response of the financial markets to this news? The share price went up 4.43% in the hours leading up to the announcement, as rumors spread, and then jumped another 5% when the news was made official. The second example was BP, who after 12 weeks of oil leaking into the Gulf of Mexico, and adversely affecting the livelihoods of millions of people who live on the gulf coast, were able to place a cap over the leaking oil well. This cap has stopped the leak for the moment, and there is ongoing monitoring of the seabed and well to ensure that no blow out will occur. Now this is good news at last for the people of the Gulf of Mexico. Once again when news of this successful capping of the well reached financial markets it resulted in an increase of 8% in the share price. Corporate decision making in much of the western world is driven by profit, profitability, and shareholder value. The share price movement in Goldman Sachs and BP illustrate this point as far as I am concerned. I am sure that Mahatma Gandhi would be most concerned with the behaviors of corporations like these, as they certainly are not adhering to the principle of trusteeship. If we want Corporations to behave in ethical and responsible ways, then we need to reconsider how we reward companies on the stock exchange.